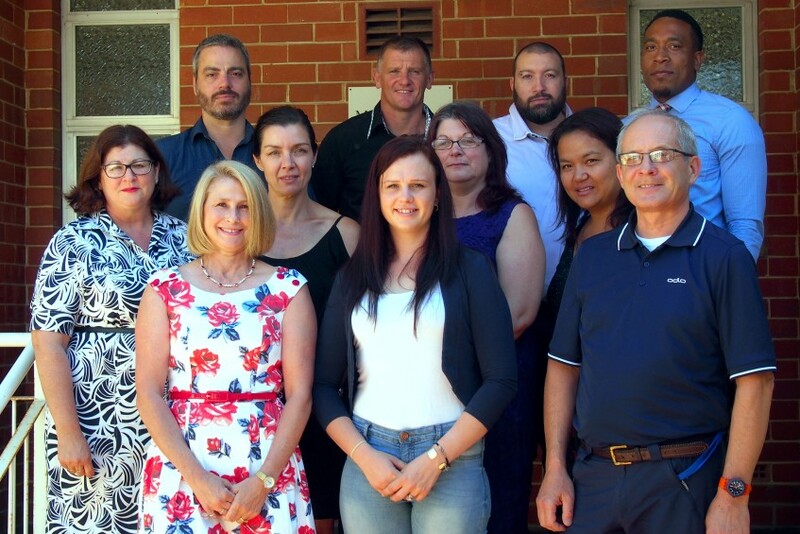 A shared vision for encouraging staff to achieve the best life possible for the people they support has resulted in 16 Identitywa support workers graduating with a Certificate lll in Individual Support in December 2016. Archdiocesan agencies Identitywa, which supports people with disabilities and their families, and Centacare, which transforms lives through education, training and employment, collaborated in early 2016 to offer staff the opportunity to gain further accreditation in the area. Identititywa Operational Services Manager Britta Meyer explained that having highly skilled staff was critical to the delivery of Identitywa’s services, which can assist people throughout their lives. “This qualification reflects the role of workers in the community and residential settings who follow an individualised plan to provide person-centered support to people who may require assistance due to ageing, disability or some other reason,” she said. “Our goal is that staff will have a range of factual, technical and procedural knowledge, as well as some theoretical knowledge of the concepts and practices required to provide person-centered support. The staff were presented with the certificates at a special morning tea attended by Identitywa CEO Marina Re and Centacare Executive Director Lee-Anne Phillips. “We are delighted to see another group of committed staff graduate from this program. We congratulate and wish them all the best for the future,” Mrs Re said.